There is no arguing the fact that the battery is the most integral component of your car. From supplying the necessary power to start the engine to acting as an electrical reservoir of the car, the battery performs a ton of essential functions. Therefore, it becomes important to keep the battery maintained so that you can enjoy your rides without any glitch or difficulty. But with time, the battery begins to lose its power and efficiency. As a result, it often fails to start the engine or stops functioning during a ride. When such a situation arrives, you must focus on buying a new car battery to avoid any problems in future. When you are planning to buy a new car battery, there must be a lot of questions arising in your mind, predominantly which brand to choose and where to buy it from? This is where Car Fit Experts, by Windshield Experts, comes to your rescue. It is one of the most prominent car care services company in India. From battery replacement to car detailing, Car Fit Experts has got you covered. With their high-end products like AMARON and EXIDE car batteries, you don’t have to look for any place further. Most of the modern cars are equipped with high-end technology. Hence, they require high-power batteries to function properly. EXIDE as a brand has always supported the high-end mechanism of the vehicles. It provides a reliable and low-maintenance range of batteries that can be bought at affordable rates. 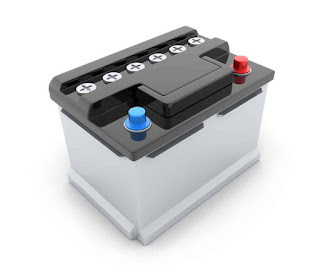 If you are looking forward to buying an EXIDE battery for your car, you should be aware of their types, specifications, and functions. Knowing battery specifications is important as it will help you find the best battery model as per the requirements of your car. To understand this better, you can always refer to your car manual and make your purchase decision accordingly. Also, it is recommended to buy EXIDE car batteries from reputed companies like Car Fit Experts only. After all, you would not want to make an investment that’s not worth it. Exide EPIQ is one of the best battery models by EXIDE. It comes with corrosion-resistant PENTA ALLOY and higher life expectancy. For higher reliability, double clad polyethylene and glass mat separation are used in the making of this battery. Apart from this, it has amazing spill-resistant characteristics due to the presence of the Venturi type chamber cover. This car battery comes with special cover design and 48 months of warranty. It is suitable for high-temperature applications. Moreover, its double clad separation provides higher life expectancy. With advanced Ca-Ca system and long wet shelf life, Exide matrix gives excellent performance. Also, it has double-glass polyethylene and glass mat separation for higher reliability and higher life expectancy. With Car Fit Experts’s discounts, you get genuine EXIDE batteries too. In case you want to inquire about AMARON’s car battery price, you can do that as well. Also, if you experience any problem after installation, you always have the option of reaching out to the engineers and getting it fixed in no time.